Normandy France Hiking - coastal paths and countryside walks that take you past some of Normandy's most well known sites and towns. 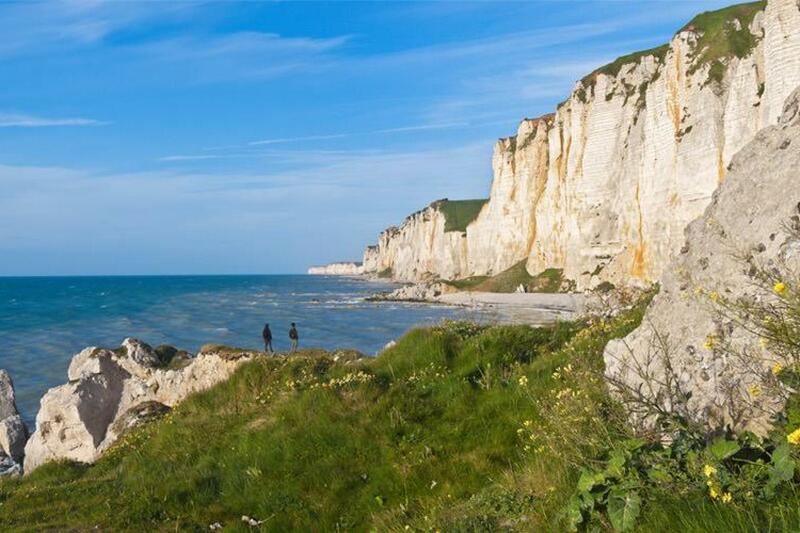 Normandy is the birthplace of Impressionism, the name and artistic movement inspired initially by Claude Monet who did work in Honfleur as well as other sites in Normandy. 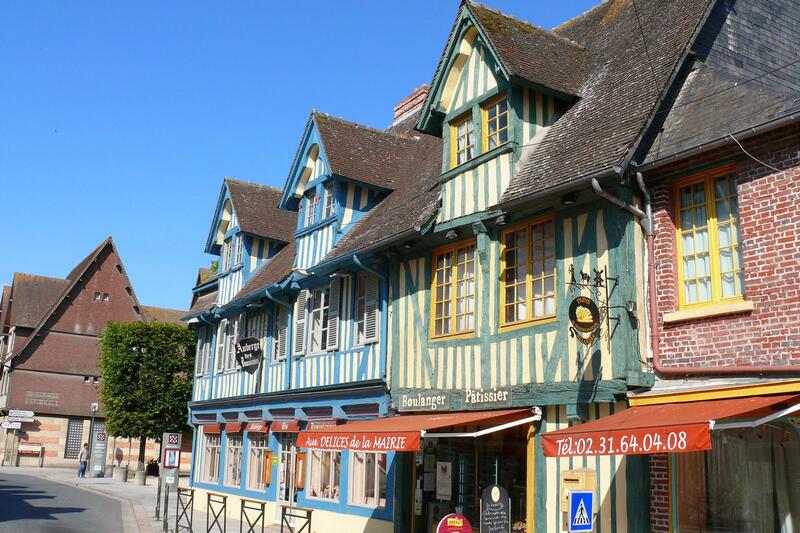 Honfleur and its port will leave you impressed and perhaps inspired to paint or draw all along the route. You will get an experience for the interior lands where apples grow and are used for cidre as well as the famous Norman whiskey - Calvados. You finish on the landing beaches of WWII where you can begin to get an idea of the immensity of the landing that was the beginning of the end of Nazi Germany in France. Visit the sites between Arromanches and Colleville sur Mer, site of the somber and beautiful American Cemetery. Finishing in Bayeux, stroll the old streets and visit the cathedral, and the famous Bayeux Tapestry which depicts other, earlier, great battles of Norman conquest in England. 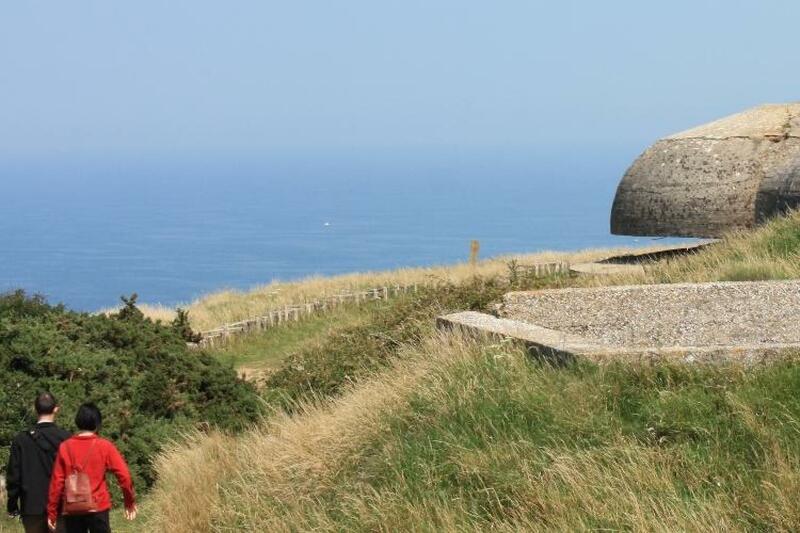 Hiking here will offer incredible coastal views over impressive cliffs that will give you a real sense of the 'savage beauty' of this land and the determination of the troops that landed here! 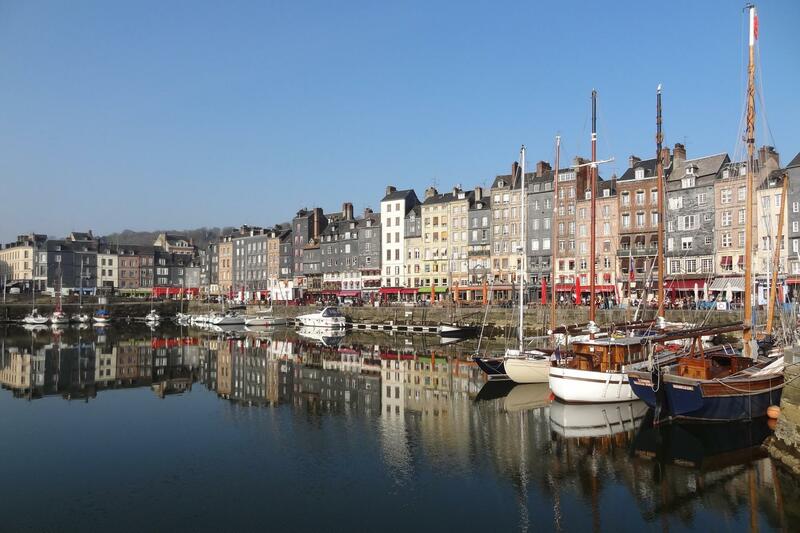 Your hotel is right on the Harbour and hopefully you will have time to explore Honfleur is a Gem and brimming with art and history, on the south bank of the estuary of the Seine river, Honfleur was a strategic port before becoming an important trading harbour in the XVIth. During the XVIIth century, Honfleur was the starting point for many navigators for the new world; Brazil, New-land, Quebec… From that rich past, almost everything is preserved; Churches, old port, bell-tower, ware-houses, 4 and 5 hundred years old buildings, cobblestone streets far too small for cars…. A real treasure. At around 9am we pick you up for a half an hour private transfer. 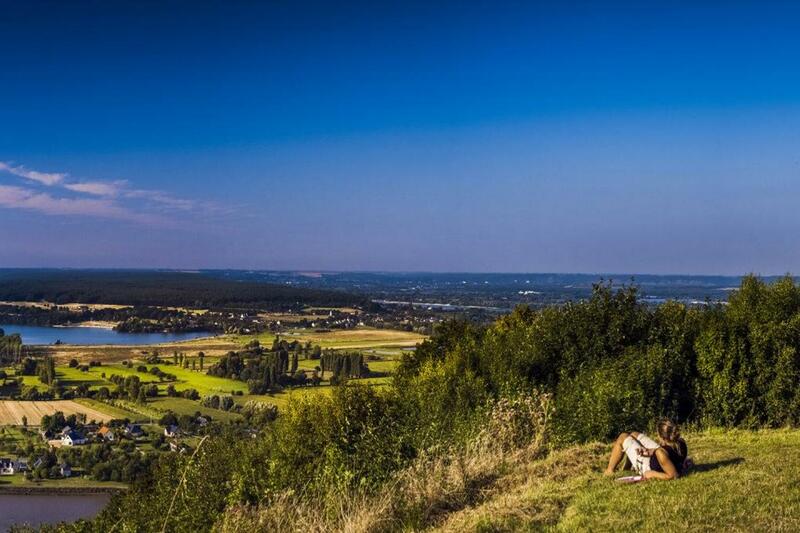 On the way, we will stop to the market town of Pont-l'Evèque so you can buy your picnic lunch….with local products of course! 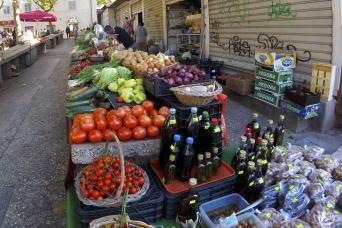 In fact today's walk in the heart of the "Pays d'Auge" you won't find any restaurantsor cafés for lunch. This is a land of apple orchards, cows, isolated farms and hamlets. 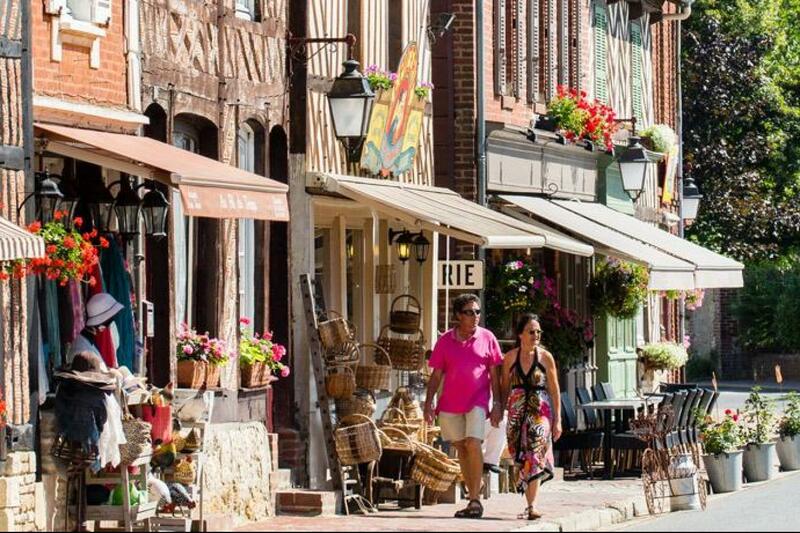 Dropping you in the village of Bourgeauville, the entire walk is 21km. 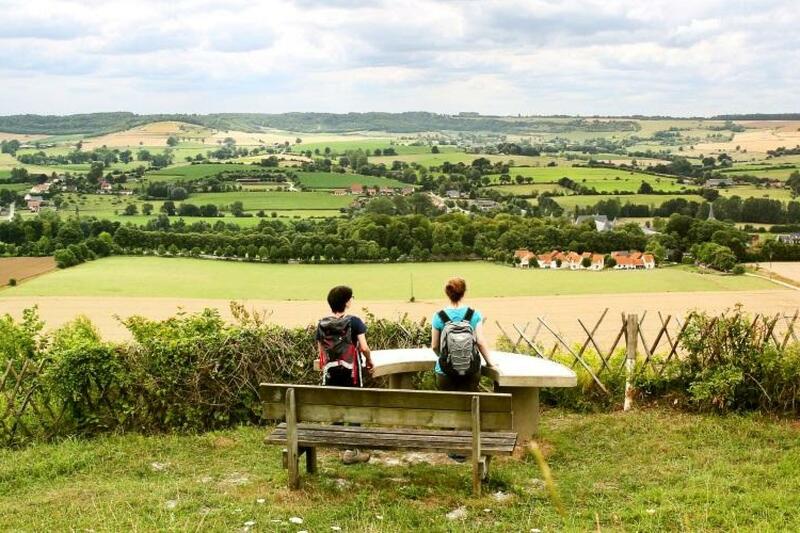 If you don't feel like doing that much, we will drop you to the next village for a 11km walk In both cases, you will end up in Beuvron-en-Auge one of the prettiest villages in Normandy where you will be staying for 2 nights. Overnight in Beuvron-en-Auge. This morning we pick-you up after breakfast and drop you in the village of Beaumont-en-Auge. 20 mn drive. From there you start your walk going deeply in and through the Pays d’Auge. You go west through the villages of Bourgeauville and Saint-Pierre des Ifs before heading south to arrive Beuvron-en-Auge. You walk inland through the heart of the Bessin area with orchards, green pastures and great granite mansions and manors. Arriving Bayeux, our route takes you through the British War cemetery and Commonwealth memorial. On the way to your hotel, in the centre of town, you will pass the great cathedral. We also recommend the visit of the famous tapestry relating the battle of hasting. It is an unbelievable peace of hart. Allow 50mn for it 17 km 65m ALT Overnight in Bayeux with lots of cafés and restaurants around. 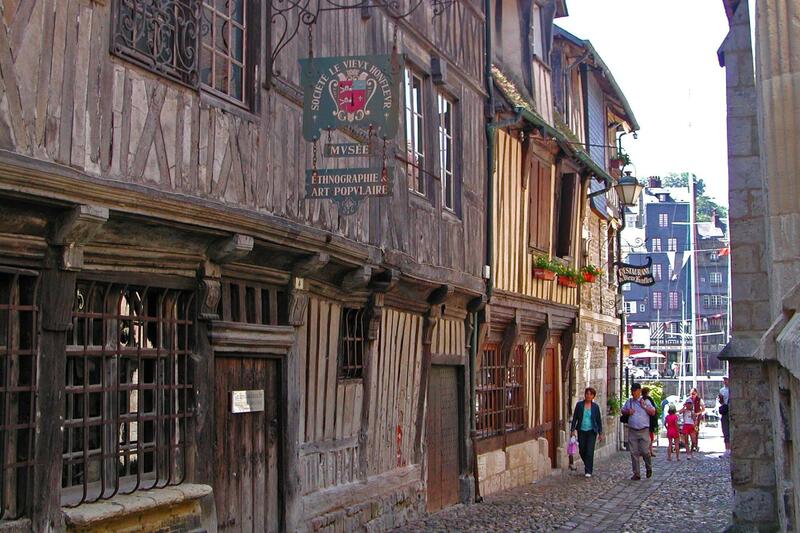 Hotel Le Bayeux is located in the historic center of Bayeux in the Lower Normandy region. It offers accommodations with private bathrooms with free Wi-Fi internet access. Rooms at Hotel Le Bayeux are equipped with a flat-screen TV, telephone and work desk. There are also family rooms that can accommodate 4 to 5 guests. A buffet breakfast is served daily at the hotel and vending machines are also at the disposal of guests. Additional services at Le Bayeux include a laundry service and daily international newspapers in the hotel lobby. The hotel is a 10-minute walk from Bayeux Train Station. The Bayeux Tapestry Museum is 1,200 feet from the hotel and Notre-Dame Cathedral is 1,800 feet away. 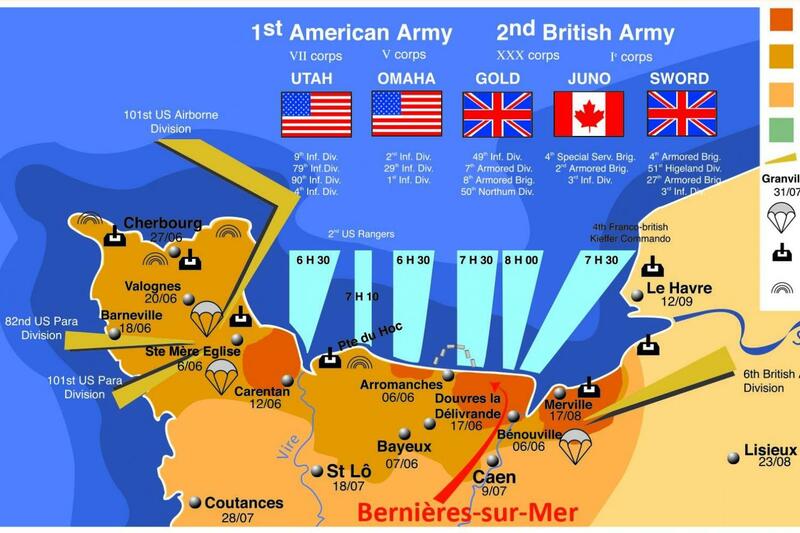 Bayeux is 6 miles from the D-Day beaches. middle option replaces Cheneviere with Mercure Omaha****. Solo Supplement For Solo travelers, please inquire for supplement. START DAYS: Saturday or Monday; to start any other day with less than 4 participants a supplement of 48 euros/person applies. Occasionally triple rooms are available, please inquire. Pure Adventures is a premier, boutique biking and hiking tour operator that offers private, custom, independent and guided travel in Europe, Asia, South and North America. We specialize in hand crafted travel for couples, families and groups who want active, immersive and meaningful experiences with their family and friends. Our travel experiences are customized around outdoor activities including: cycling, hiking, water sports, trail running, mountain biking and more. 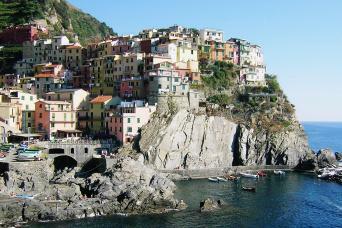 How do our tours compare to similar trips? You Get More! Because our passion is taking care of and empowering people, our team has gone to great lengths to build and create exceptional biking and hiking experiences, all over the world, for you. From the accommodations, to the bikes, to the routes themselves, we hold each component of our tours to a very high standard, ensuring that your tour will create amazing memories to last a lifetime. If you compare price, we are much less than high quality guided trips with similar experiences and you obviously get much more in our private, self guided, independent format than most traditional self guided trips. See our why: Why Pure Adventures is Better. Our well traveled, knowledgeable and dedicated team is standing by and eager to make your travel dreams come true.Call now at 800-960-2221 (USA/Canada 8am-5pm MST) +1.480.905.1235; or eMail Us. 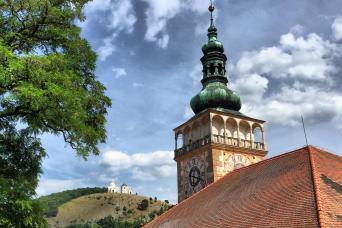 Dates - This tour departs any Saturday or Monday for 2 pax, or a supplement applies. If 4 or more, any day to start is possible, subject to availability. 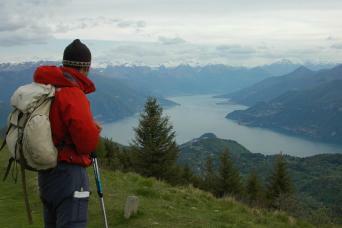 Level - Level is moderate (3+) For regular hikers and those adapted to variable climate conditions. - The terrain is rolling meadows and coastline, with some hilly cliffsides, and wet weather or coastal winds can happen in short duration. Weather changes rapidly, experienced hikers come prepared with rain jackets and to hike in both dry, wet, sunny, warm, cool conditions! - Bookings around June 6th dates are hard to book because of D-Day celebrations, and access to sites may be limited due to media coverage. Not recommended. - Arrival city is Honfleur, 1 hour 40 min from Paris St Lazare by train to Lisieux and then either a bus or a private transfer can get you to the hotel. We can arrange private transfers for 29 euros/person. Departure from Bayeux offers trains all the way to Paris. Best Time To Go: April - June, September - November. We are available to book Paris add ons before or after your tour; including hotels, walking tours, airport transfers, and other unique and traditional Parisien experiences. France - Best of Normandy Cycling Tour (with CiCi) 5.0 guide5, transportation5, accomodation5, meals5, value5 by Brinkley P: This was a great trip. Our support, CiCi, was just fabulous. The accommodations were perfect and the recommendations for meals as well. They did a great job in allowing us to enjoy the trip but not be overburdened with activities [we wanted to bike] and a tight schedule. 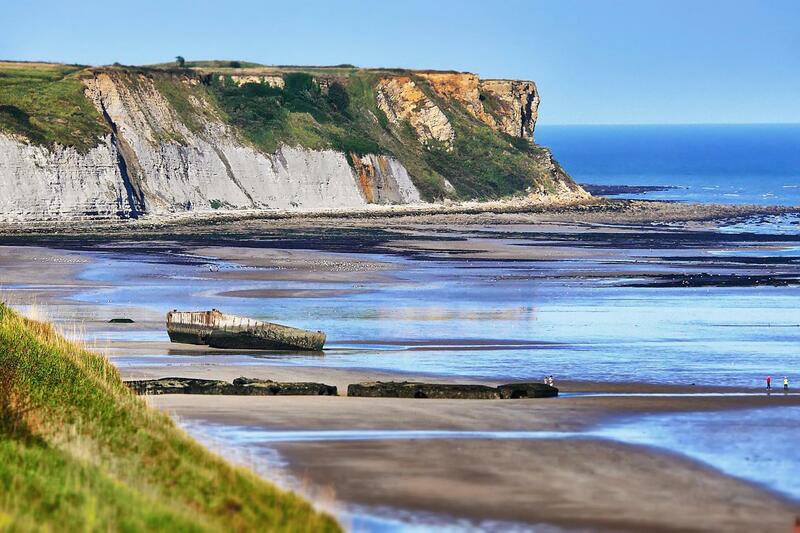 France - Best of Normandy Cycling Tour (with Sigrid Lelievre) 5.0 guide5, transportation5, accomodation4, meals5, value5 by Lucile F: We had a fabulous trip. Our guide was outstanding. SiSi was very well informed on the area and knew great restaurants for us to go to eat. She was very accommodating and made reservations for our group of 15 and made sure we had tables together. I became ill half way through the trip and had to finish the trip in the support van. Sisi took me to a doctor and a pharmacy for medicines. Thank goodness we had the support van. The countryside was gorgeous and the hotels were nice. A very memorable trip. Loved staying at Le Grand Hard. Jo was wonderful and made us all feel at home. - hydration pack capable of carry ample water and small items. Request your Tour Summary for this tour and also get the free Destination Guide by email. The Tour Summary is a PDF document you can share with your friends and puts all the key info shown in different tabs here into 1 short compiled document. Our Destination guide will give you general travel info about this country; best time to travel, interesting sites, airports, weather, and more.